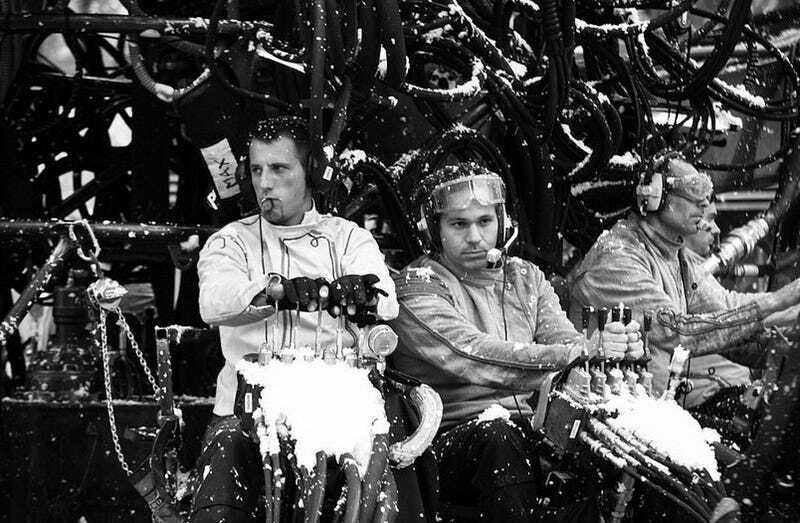 Image Of The Day: What Glorious Machine Are These Frenchmen Driving? Why, it's La Princesse, the giant spider mecha that took over Liverpool last year. I love that this insane giant mechanized spider bot is controlled via multiple consoles of old-timey forklift levers.